ROANOKE, Va. (Jan. 4, 2018) — The Taubman Museum of Art Board of Trustees announced today the appointment of Cindy Petersen as the Museum’s new executive director. Petersen is an experienced leader in nonprofit management, having worked over the past two decades with organizations in Virginia and in business consulting in Europe. 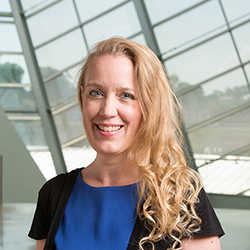 She has been with the Taubman since 2011 as deputy director of education and visitor engagement before serving as interim executive director following the departure of former executive director Della Watkins in September 2017, who left to join the Columbia Museum of Art in South Carolina. During her time as a senior staff member, Petersen was integral to the development and enhancement of visitor-based programming. Among her accomplishments, Petersen created a Learning Lab for Leaders training series that has received accolades from the likes of MuseumNext, based in England; designed Art Venture, the Museum’s interactive children’s discovery center; led the redevelopment of the Museum’s education programs to mirror K-12 curriculum plans; started a Museum School, offering classes for children, teens and adults; and provided strategic guidance that helped the Museum earn accreditation from the American Alliance of Museums. The average length of guest visits to the Museum also tripled during her tenure. Renowned International Artists on View in "Reclamation! Pan-African Works from the Beth Rudin DeWoody Collection"
ROANOKE, Va. (Dec. 20, 2017) -- The Taubman Museum of Art is pleased to present Reclamation! 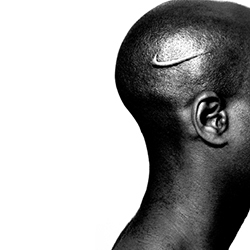 Pan-African Works from the Beth Rudin DeWoody Collection, featuring nearly 100 works from various media highlighting the global migration of peoples across the world. Drawn from DeWoody’s significant contemporary African diaspora collection, it features world renowned artists such as Willie Cole, Hank Thomas Willis, Kerry James Marshall, Kara Walker, Romare Bearden, Kehinde Wiley, Sanford Biggers, Nathaniel Mary Quinn, and Yinka Shonibare MBE (RA) among others working in a broad reach of media and conceptual approaches. The exhibition opens March 3, 2018, with a special ticketed Q&A with DeWoody Friday, March 2. Exhibiting artist Nathaniel Mary Quinn will be on hand for the Q&A event. The exhibition is on view through Sept. 2, 2018. 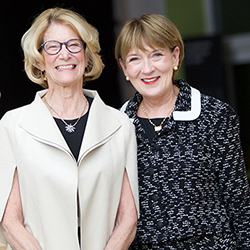 ROANOKE, Va. (Nov. 13, 2017) – More than 400 of the region’s top female professional and philanthropic community members came together today to celebrate women, art and education at the TaubmanMuseum of Art’s 13th Annual Women’s Luncheon. 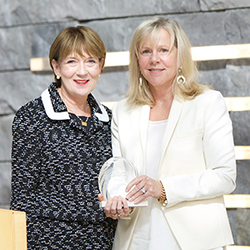 Carilion Clinic President and Chief Executive Officer Nancy Howell Agee served as the event’s honorary chair and master of ceremony. On behalf of the Museum, she presented awards to two area women for their work furthering arts and education in the community: Cynthia Fralin and Dr. Sharon Ramey. 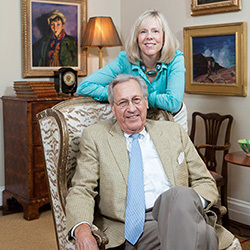 ROANOKE, Va. (Oct. 20, 2017) — The Taubman Museum of Art is pleased to share that the Virginia Commission for the Arts has named Jenny and Nicholas Taubman and Cynthia and Heywood Fralin among their “50 for 50 Arts Inspiration Award” honorees. 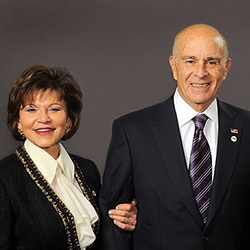 The Taubmans and Fralins were among the founding trustees and champions for the Taubman Museum of Art and have been instrumental in the Museum’s continued growth. They also have supported a number of other arts organizations and endeavors across the state, from the Virginia Museum of Fine Arts in Richmond to the Fralin Museum of Art in Charlottesville. The Taubman Museum of Art Board of Trustees is sad to share the news that former Executive Director Georganne Coble Bingham has passed away.